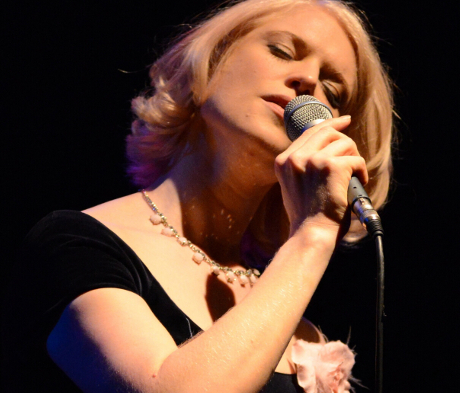 Jazz vocalist Emilie Conway and her musicians make a welcome return to the Linenhall. Since the launch of her debut album, The Secret of a Rose, Emilie's career has blossomed with exciting invitations and opportunities, collaborating and performing in Europe, Northern Ireland, America and the Caribbean. She also received a second Arts Council Award and released her second album, Dear World with this quintet. The music Emilie has chosen for this special concert is wide-ranging, inspired and enriched by these experiences and the variety of life and colour that awakens in Spring: from Traditional Irish, Brazil and the Great American Songbook; to Joni Mitchell, Sandy Denny, originals, and music-poetry improvisations. Emilie Conway Quintet's care for beautiful melody, evocative lyrics and sophisticated, sensitive musical arrangements from her band, among Ireland's leading jazz musicians, will truly enchant you.